High performance means speed. High performance means endurance. 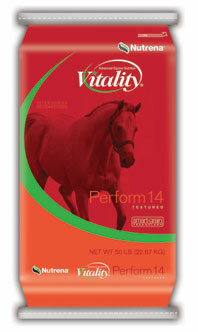 And high performance means Respond® High-Grain Formula. This mix brings a racetrack-proven formulation to a more traditional sweet feed form. Highly palatable to help maintain consumption for even the pickiest horses. High fat levels from vegetable oil for energy without added starches and sugars. Yeast Culture to help improve fiber digestion. Organic minerals with increased bioavailability to help support immune function, hoof integrity, hair and coat quality. High-grain content for ease of feeding. No need to mix with additional grains. Controlled starch levels to support pre-cecal digestion and help replenish critical glycogen stores for maximum performance when oxygen is in short supply. Guaranteed levels of amino acids for enhanced protein to support muscle maintenance and health. 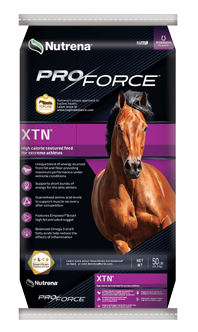 This feed is designed to be fed to mature horses. Feed one pound of Respond® per 100 pounds of body weight. This can be used as a starting guideline. pasture. If feeding less than five pounds per day, additional mineral and vitamins should be provided. day into at least three portions will help the horse maintain normal feeding behavioral patterns.